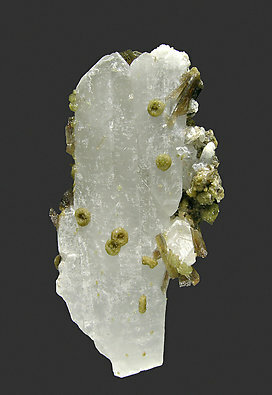 Spherical green growths on a white, well-developed, crystal of Beryllonite, and with brown prisms of Childrenite. 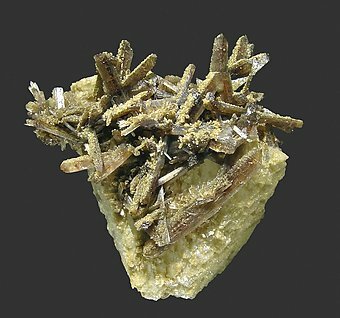 Small groups of yellow crystals that cover and are with brown prismatic crystals of Childrenite, on a matrix of Feldspar and with well-defined crystals of Beryllonite. 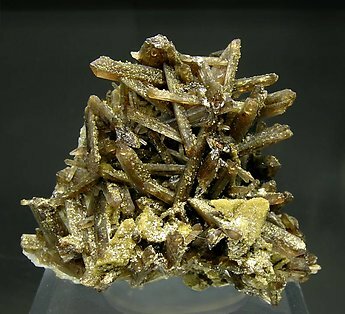 Donut-shaped isolated growths, green colored, on Quartz crystals and prisms of brown Childrenite.